Hey kids! 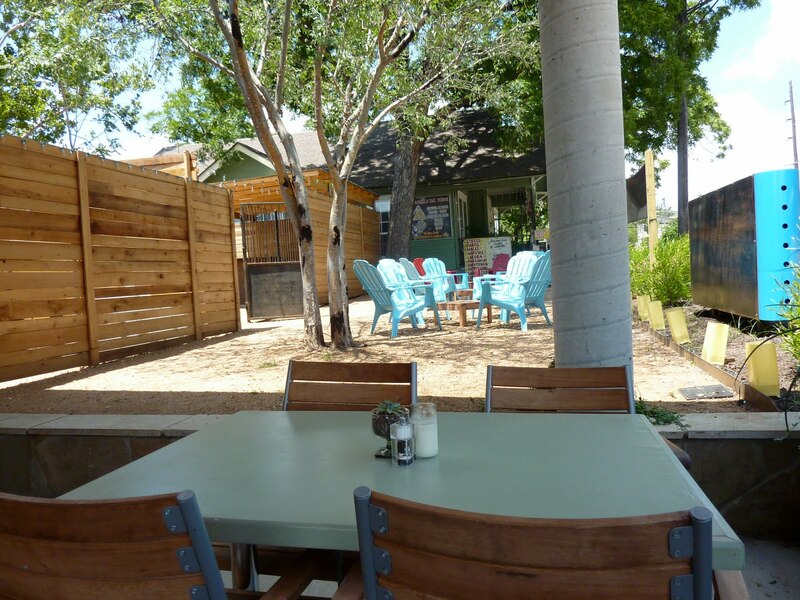 This is a view of the patio at Takoba, a new interior Mexican restaurant in East Austin. We ate here last weekend and it was delicious and pretty and fun! I had originally planned on going here for dinner, because they have sopes on their dinner menu, and I could eat those for every meal, but instead we went for Saturday brunch! Haha! 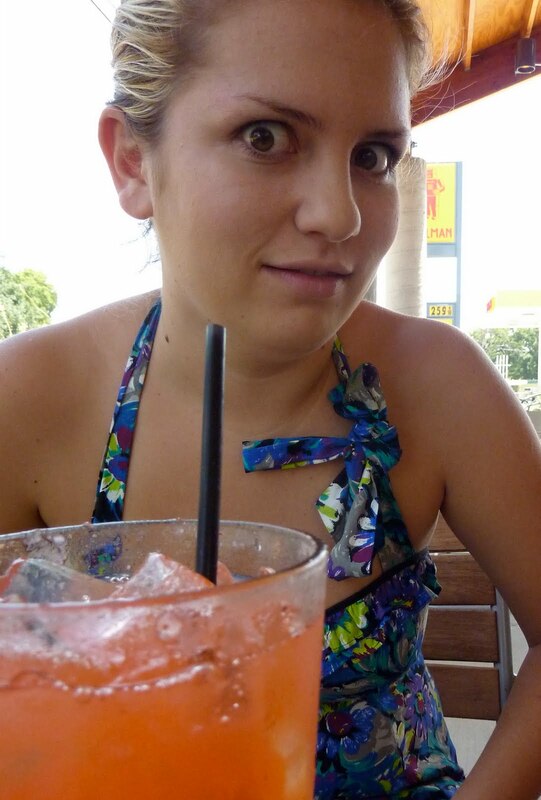 This is the sister-of-my-life doing her best crazy stalker impression as she stares adoringly at her strawberry-lemon agua fresca. It was good and pretty! 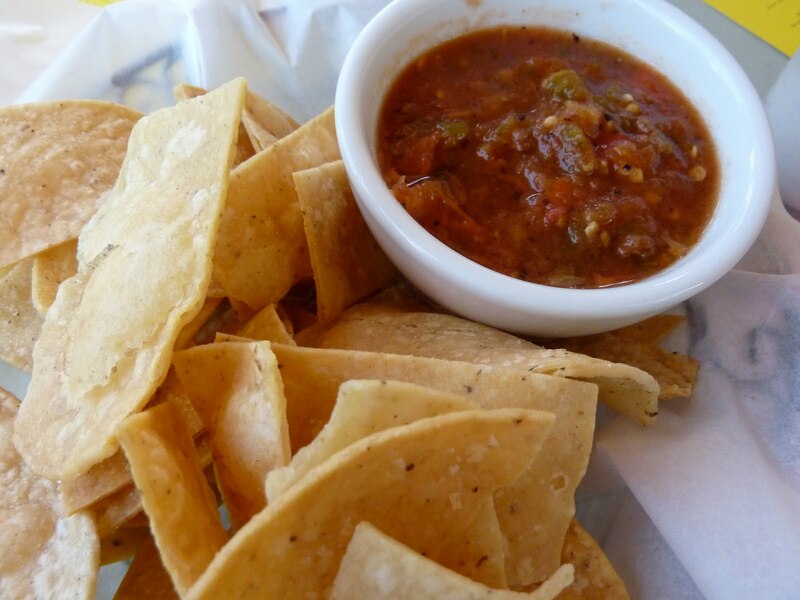 Chips and salsa! Good and happily salty. 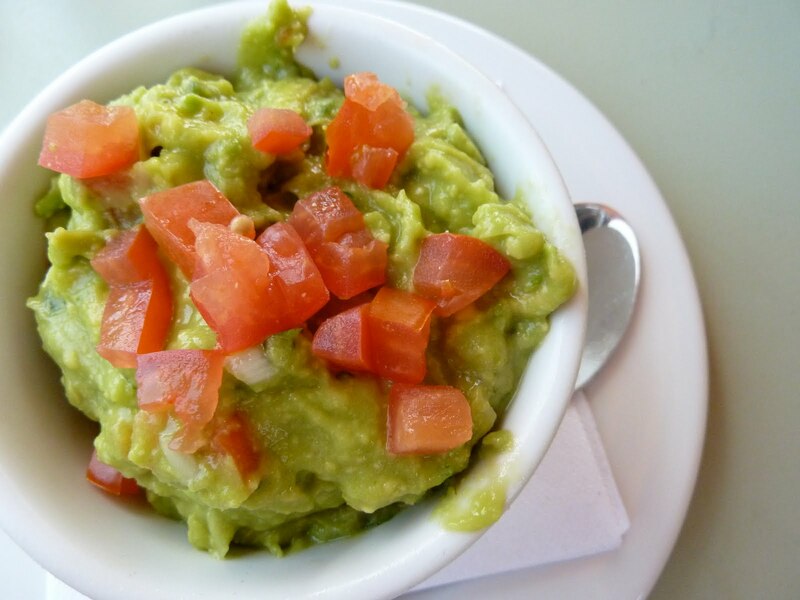 Guacamole- a simple one. Avocado, lime juice, cilantro, and onion. (Ahh! You clever reader, you! You’re right. There were tomatoes too.) It was nicely lime-y. I put my whole mouth in the bowl. 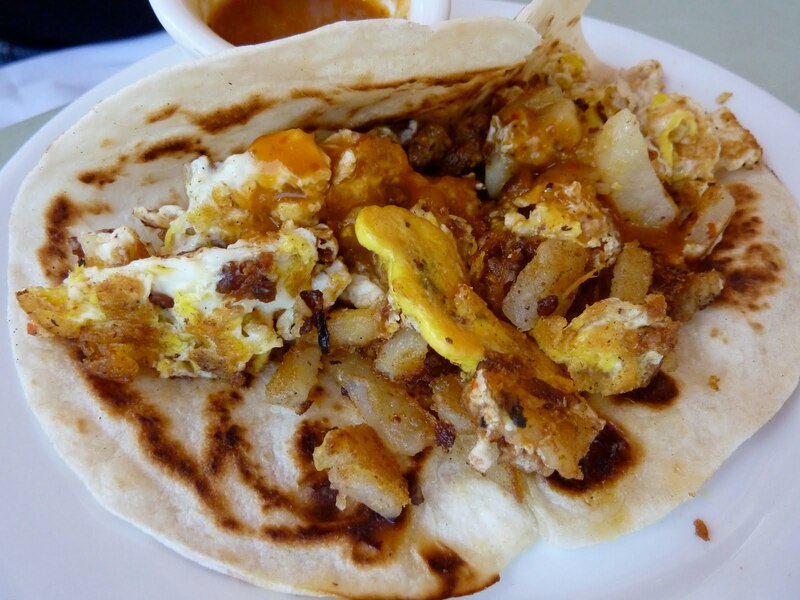 A shot of the innards of Molly’s taco: flour tortilla, egg, potato, and sausage. Yeeessss. Helen’s Huevos Rancheros: tostada topped with refried beans, two fried eggs, salsa roja and queso fresco, served with breakfast potatoes and tortillas. This was also great! Fun fact about Helen: the chick’s allergic to eggs, but she hearts them so much she orders them just for the thrill of savoring one or two delicious mouthfuls, and then pushes them aside. It’s weird. My Chilaquiles! 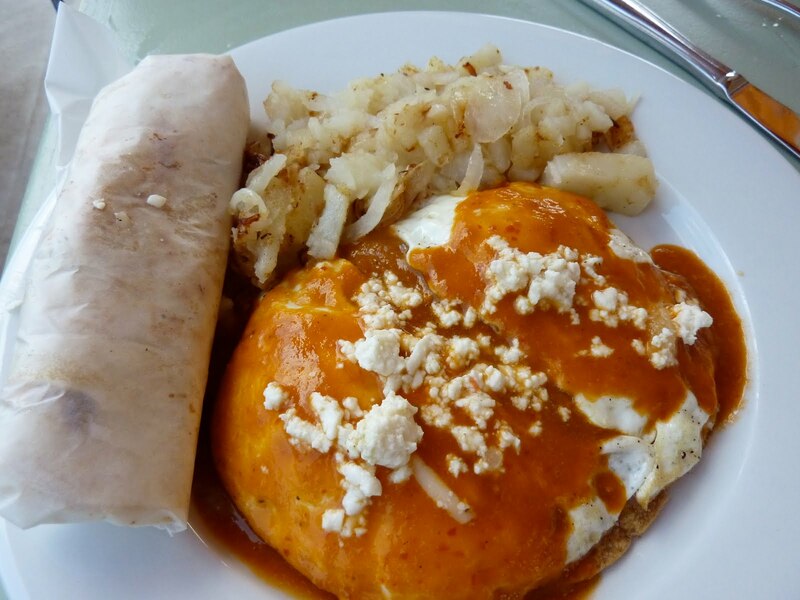 Eggs scrambled with pan fried corn tortilla strips, onions and red chile sauce, topped with queso fresco. 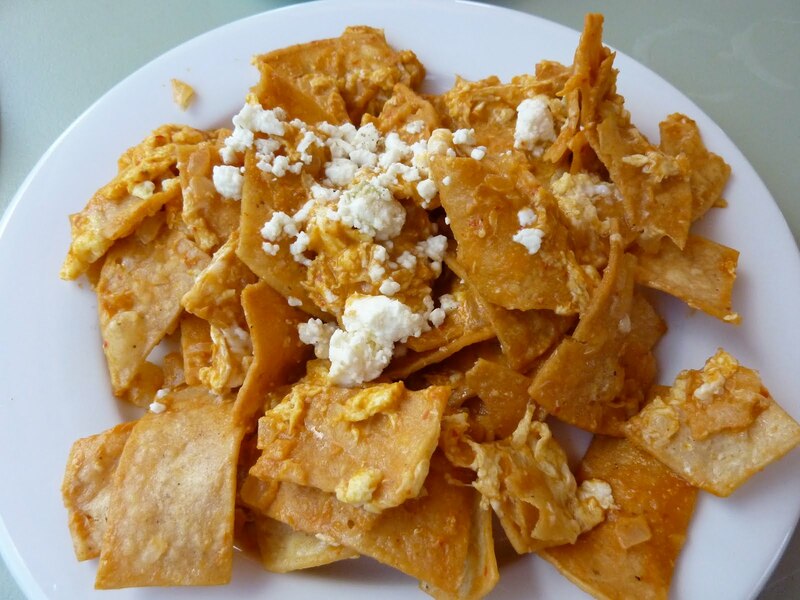 This, to me, was the perfect version of chilaquiles. What I imagine when I think of the dish when I’m laying down to go to sleep. Not too eggy, not too spicy, coated in a rich chile sauce, and topped with a lightly salty cheese. You know you want it. great! love it! love this picture so much! really. really a winner. NOM NOM chilaquiles. I still miss the Blue Star diner down the street that had them. Oh, and the pre-diet days when I could eat them.